I've made. I had trouble visualizing this but as I carved I seemed to find my way. (The closest I have been to a long horn steer skull is the on the screen at the movies.) 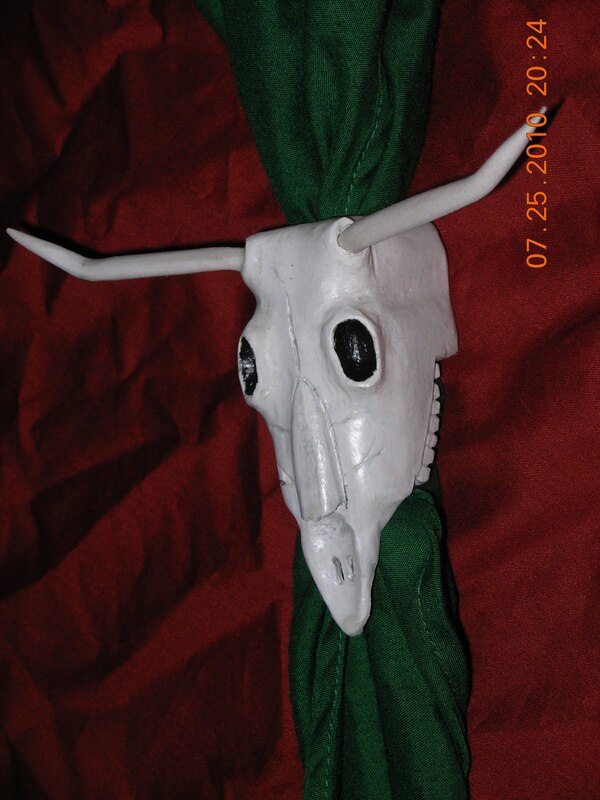 The eye and horn sockets had to be shaped at a different angle than I am use to seeing. But I digress...the slide was painted with craft paints and when dry, given a black wash to bring out the cracks in the skull. The horns were made from some scrap plastic trim I had laying around.They were rounded and heated to form the bends, and then glued into place. A couple of coats of poly finish it off.